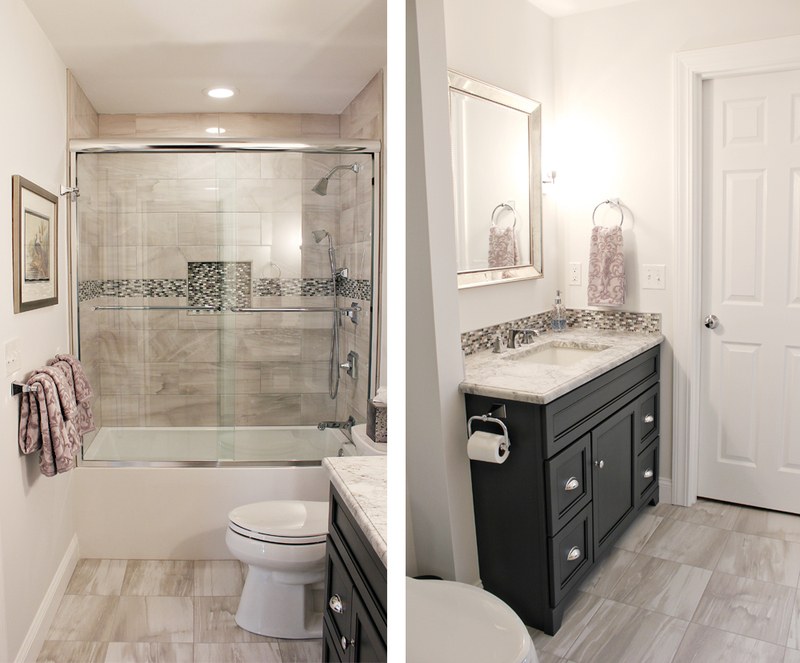 Left: This completely renovated bathroom was reimagined in soothing, serene colors and features durable porcelain tile that looks like marble. Right: The vanity countertop is super white Quartzite. 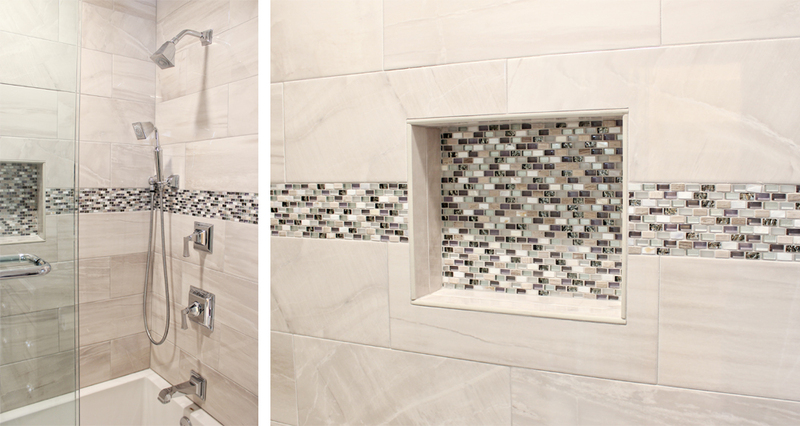 Left: The shower boasts chrome fixtures from the Kohler Memoirs collection. Right: A niche was created in glass mosaic tile. Left: Detail of the dark grey painted vanity. Center: The vanity area has a beautiful glass mosaic backsplash and beveled mirror with beaded milgrain detail. Right: Detail of the glass sconces.